Last time we wrote about one of QVC’s newest vendors, potty-mouthed chef and reality TV star Gordon Ramsay, we got reamed for our remarks. Well, here it goes again. Ramsay was back on the New York Post’s Page Six Thursday, with news that a British bank had filed a lien against his home. 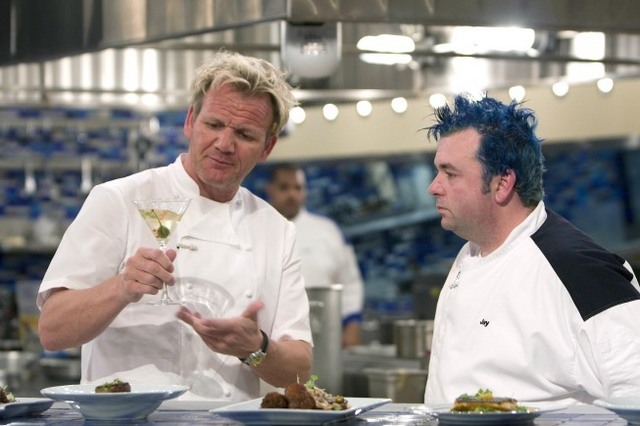 Seems that the Royal Bank of Scotland had loaned Ramsay $15 million to rescue his faltering restaurant empire, and the house was collateral. Ramsay’s camp told Page Six that the lien only means that the bank wants notice if the chef tries to put the home on the market. Ramsay’s mouthpiece also said that he only owes roughly $6 million to the bank. The sandy-haired chef’s restaurant empire has been trimmed in recent years, as he closed or sold off some of his high-end eateries. You are currently browsing the archives for the Gordon Ramsay category.